Those of you who are looking forward to having Linux apps on your Chromebook may be in for a disappointment if you’re running an older machine, because a number of these more dated models won’t be able to support this functionality – including Google’s second-gen Chromebook Pixel from 2015. Support for Linux apps in Chrome OS was announced back in May, but now it has emerged that several two or three-year-old Chromebooks won’t benefit from this. Why not? Well, these devices are running an old version of the Linux kernel, and these older variants won’t be upgraded by Google to add the facilities necessary to be able to play nice with Linux apps – it would simply be too much work to get things functioning. So the cut-off point for machines which will be upgraded has been officially marked as Linux kernel 3.14, or older, as spotted on Reddit. There’s not much you can do if you own one of these machines – you’ll just have to resign yourself to not benefiting from Linux apps. 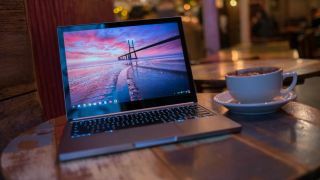 In other recent Chromebook news, we saw that Google is working on introducing support for dual-booting Chromebooks, offering users the choice of picking between Chrome OS and Windows 10 when they fire up their machine. Of course, as well as bringing in support for Linux apps, Chrome OS devices are already capable of running Android apps.